We are dedicated to produce highest quality on one of the largest organic hop farms of the world. Our farm is located in Germany in a small production area known as Little Switzerland of Franconia, which is geographically isolated from the growing area named Hallertau. 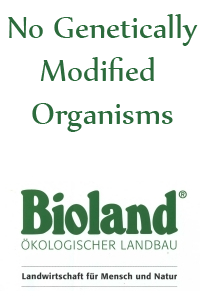 Our hops is under continuous control of ABCERT, Esslingen and is certified organic according to Bioland™, USDA (USA), and ISO regulations. The aim of our farming practices is to preserve a healthy, biologically active soil as well as biodiversity. This article published in the journal Brauwelt International describes our way of growing hops and our philosophy in detail. We offer the following aroma varieties and special flavor hops and deliver three kinds of processing. Note that we are the only organic farm offering Hersbrucker Pure. Please do not hesitate to contact us for our current pricing options. © 2013 by Biohof Friedrich. Unsere Datenschutzerklärung. The icon indicates external Links; Disclaimer.